Nvidia's been holding AMD slightly under the water lately, but if AMD's newest Radeon beast performs as well as it looks like it could, the tables are turned. 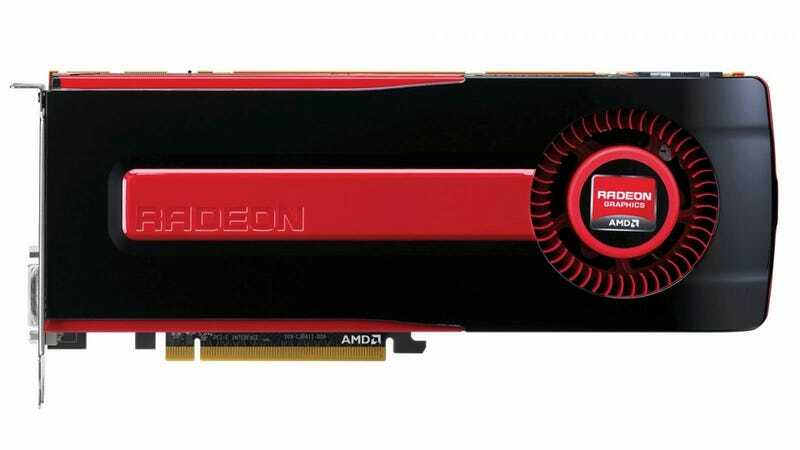 Is this the best possible GPU you can buy? The GHz Edition lives up to its name, delivering a GPU clock speed of 1,000 MHz with the company's latest "Graphics Core Next" architecture, plus 3GB of GDDR5 memory running at 1.5 GHz. Those are stunning numbers, but the GHz Edition's real tricks are more clever than that. A new PowerTune Boost feature allows the card to juice itself with extra electricity (when there's spare juice in the system), delivering performance boosts on demand. This should translate not only into smoother framerates under pressure, but allow the card to crush GPU-accelerated non-gaming software. In Tom's Hardware's super-thorough benchmarking, the GHz mostly lives up to expectations, either tying or beating Nvidia's comparable GTX 680 in games like Skyrim and Battlefield 3—the only thing consistently upping the GHz is Nvidia's GTXX 690, which costs a thousand dollars.